I love this breakfast served hot or cold. If time is of the essence in the morning then you can just whip it out of the fridge cold and it still tastes delicious! On colder days, I love heating the oats as this provides a warming, comforting start to my day. Almond milk (homemade or otherwise I LOVE Rude Health’s Almond Milk). 1. Soak one portion of oats in almond milk over night. 2. Either heat the oats the next day in a saucepan or leave them cold. 3. 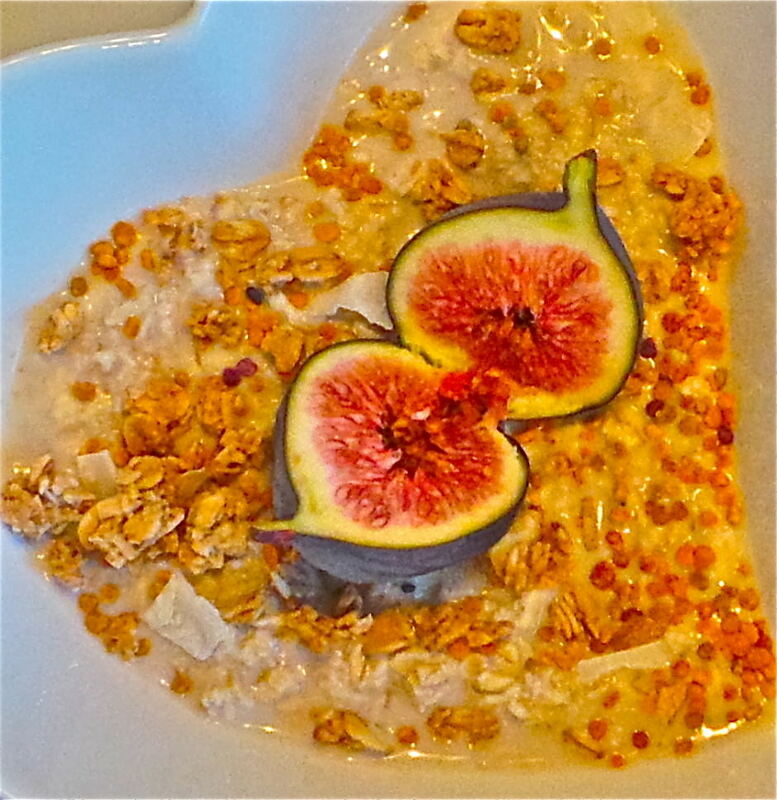 Sprinkle any granola of your choice over the oats and add a dusting of bee pollen and coconut flakes. 4. Run a knife down the center of a fig (but keep it intact by being careful not to cut right through). Place the fig on top and there you have it!